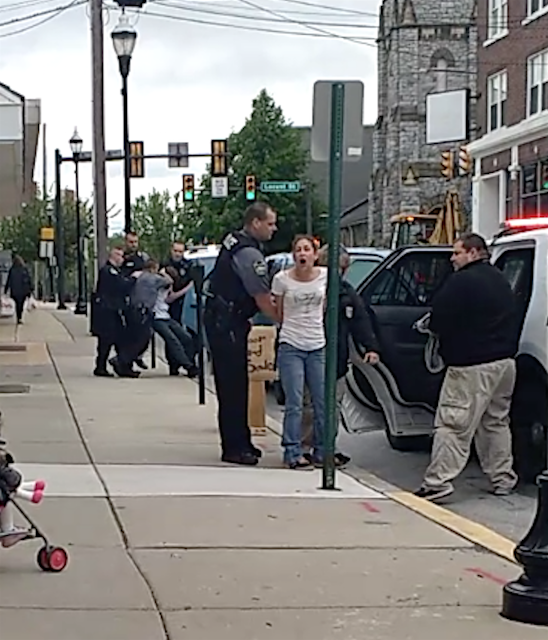 On May 5, 2016, Columbia Borough and West Hempfield Police arrested Dane Aaron Stock and Amber Lace Wise on various charges on North Fourth Street in Columbia PA.
Amber Lace Wise can be seen shouting as Dane Aaron Stock struggles with police in the background. Was there a ribbon cutting yet? Thanks Jesse, great video catch! I'm glad these two are outta here. Columbia does not need these kind of small businesses, just reinforces that "Columbia" stereotype we keep trying to shake. So what are the charges? This just reminds me of high school gossip. What was the point, to show us some people being arrested for 30 seconds? This is just as embarrassing in my opinion. Dane Aaron Stock is charged with hindering apprehension, resisting arrest, simple assault, terroristic threats. Amber Lace Wise is charged with resisting arrest and has a previous warrant for receiving stolen property. A link to that information is provided on the post with the video. The video was posted because it is newsworthy and relevant. The video is very embarrassing.....to those arrested. I find this type of information extremely relevant and important. I certainly do not want to purchase items from someone who has been charged with receiving stolen property nor do I want to do business with people who conduct themselves in such a fashion. Without the information posted on this site, I would have not known about this and I might have visited this establishment. 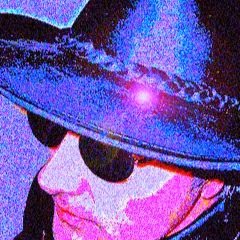 Thank you for being there, this site is AWESOME!!! We will be open at 8am to all who really know what the receiving stolen property was for, everyone who jumps to conclusions can feel free to keep creating more gossip about it.FYI when found out it was stolen, I did give it to the police to have it returned to its owner. Check facts before you talk smack! We have given back to this community more than any of you will ever know. But all the smack talkers prolly haven't even ever been in the store to actually know 1 thing about what we are about. Quality items at an outrageously low price. We even had layaway plans for ppl on SSI who couldnt always pay anything but really wanted something. We would hold things for them and never gave anyone who shopped here any problems whatsoever. But thx to those who know what the "indoor yardsale" is all about......helping ppl who really needed it.